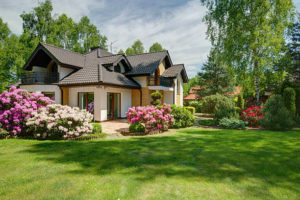 Your’e ready to buy a home, so now what? I love helping my clients find the perfect home. Let’s take a detailed look at how the process works. Get your pre- qualification from a lender : In today’s competitive market, home sellers want proof that you can qualify for a loan to buy their home before they accept your offer. Go to the bank or local credit union and talk to them about obtaining a pre-qualification letter. You can also see my list of people that I recommend for lenders that I know and trust. (just so you know- it is illegal for a Realtor to accept referral fees, or ‘kickbacks.’) We recommend people because they are good at what they do. Team up with a Realtor: This is where I come in. It DOES NOT COST YOU ANYTHING to have an real estate agent represent you as a buyer. The seller has a listing agent representing them, and the seller pays all Realtor commissions. I only get paid when you get the keys to your new home! Let the search begin! : I will use every resource available to locate potential homes that will suit your needs. We will discuss your price range, desired location, number of bedrooms/bathrooms, and every other detail that will narrow our search in order to find the home of your dreams. You can look at the listings yourself right here on the ‘Search MLS Listings’ tab on my home page. Once we start working together, I will add you to my daily Hot Sheet search, to see the newest listings on the MLS. I also work closely with many associate Realtors to view their ‘pocket listings’ that aren’t on the market yet. You may get the very first look at some beautiful homes. We found it! Now what? : Once we find the home that you want, we will sit down together and write up a Purchase and Sale Agreement. You will need to write a check for ‘Earnest Money’ to show the seller that you are a serious buyer. That check is cashed and then held in an escrow account, and if all goes well, you will get credited for those funds at closing. We may have to do some serious negotiations with the seller and his/her agent, but once we all agree on sales price and contract terms, then you are in escrow! The road to the closing table: We will be communicating on a regular basis during the escrow period. I will be keeping close tabs on all timelines and deadlines that are required according to your purchase and sale agreement. I will order your inspection, and once we get the report, we will address any repairs that may need to be done, unless you are accepting the house AS IS. There may be some more negotiations, but don’t worry…I thrive on negotiations, and I am in your corner! After we remove the inspection and resolution contingencies, your lender will order the appraisal. Hopefully the appraisal will meet or exceed the amount that you offered the sellers. You will make arrangements to have the utilities put into your name, and the lender will order your final title work. We will do one final walk through of your new home to ensure that everything is good to go, and then you will get a settlement statement with a breakdown of all costs and fees due from you to close. Closing: The day is here! We will all meet at the title company. The seller will be there, your lender will be there, and the closing agent for the title company will handle the signatures and paperwork. You will get the keys to your new home, the seller will get their funds, I will get a check, and everyone will be smiling. Any questions? Please contact me!